For those of you brought here from my writing on Tattoodo, you can now find me at Littered With Garbage. 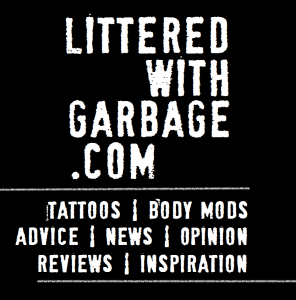 Littered With Garbage features daily curated content to connect you with the perfect, reputable tattoo artist for your next tattoo. The amount of tattooed wrestlers have grown significantly in the past 15 years, on par with society. 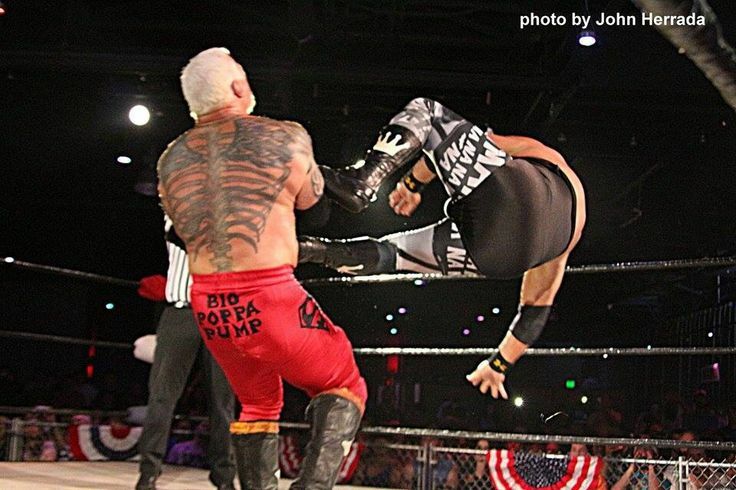 While wrestlers are real-life superheroes, throwing themselves around the ring, they’re not immune from bad tattoos. For some, money and fame can’t buy sense. To the wrestling fans out there, learn from the mistakes of these wrestlers. 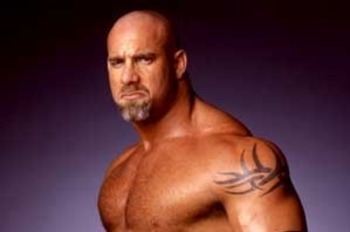 Hopefully wrestlers, too, will learn to forgo following the trends and get their tattoos from reputable artists. But, for now, let’s just point and laugh at their misfortune. I’m sure everyone remembers how trendy the thick black lines of tribal tattoos was back 7-10 years ago. I’m sure this is a fad many wrestlers would rather soon forget. 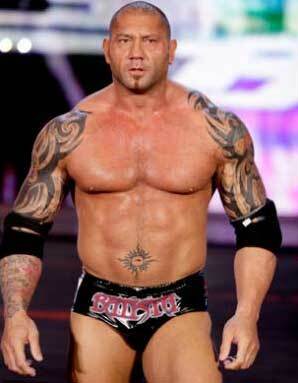 Some of the wrestlers who fell victim to the tribal tattoo trend include: Batista, Randy Orton, Wade Barrett, amongst many others. 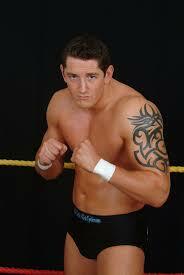 Randy Orton and Wade Barrett have since had extra work added to their tribal tattoos, but they're not fooling anyone. We all know the tribal is still there. 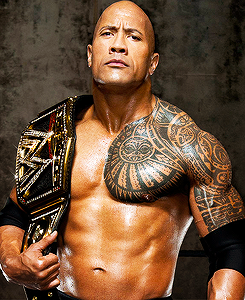 One wrestler, now actor, with decent tribal work is the The Rock. His tattoo is traditional Samoan style, which tell the story of his life through patterns and symbols. Being of Samoan heritage the tattoo holds great meaning unlike that of many others with tribal ink. 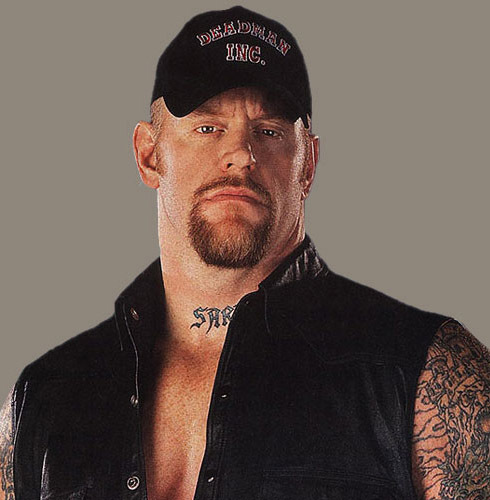 The Undertaker, in recent memory, was for many years the most heavily tattooed main event calibre wrestler. 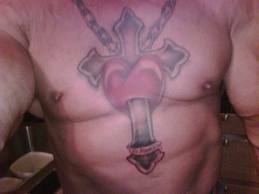 In the 90s tattoos were still seen as something criminals or thugs had, so it tied in well with his evil character. He had Sara (his former wife’s name) tattooed on his neck, only to have it removed a few years later when they divorced. A reminder to think long and hard about what you get tattooed on your skin. 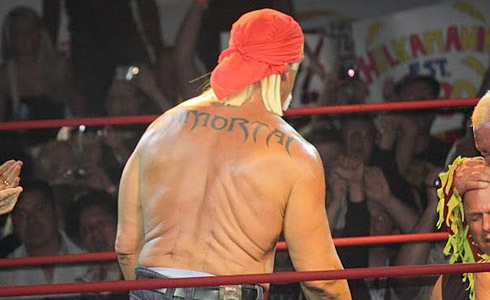 I think the most tragic of them all are the leather-skinned (from years of tanning sun damage) male wrestlers who have decided to jump on the tattoo bandwagon. 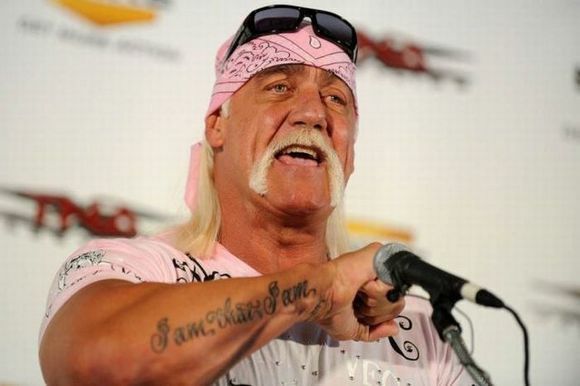 Hulk Hogan and Scott Steiner are prime examples of this; mid-life crisis, anyone? Their tattoos face irreparable damage if they continue their tanning regimes. 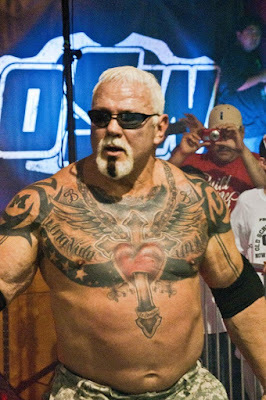 Edit: Fast forward to 2016 and it appears one bad tattoo just wasn't enough for Scott Steiner. Here's what he looks like now. (c) Stacie Mayer 2013. Simple theme. Theme images by Jason Morrow. Powered by Blogger.